Sir Stamford Raffles was furious. In the three years since he had left Singapore for the outpost of Bencoolen, the nascent colony had grown in disarray. Instead of following his orders, appointed leader Major William Farquhar had taken a laissez-faire approach – attracting many traders but also vices that Raffles despised. Farquhar tolerated the sale of opium and slaves, and sold gambling licenses to raise money for the cash-strapped administration. Still, his pragmatism helped to guarantee the survival of Singapore through its early years, and the colony’s rise posed a serious challenge to rival Dutch ports in Java and Sumatra. The year was 1822 and Singapore was already booming. But in spite of the exponential growth in trade and population, the reality fell short of Raffles’ original vision. After removing Farquhar from his post, he set about bringing a sense of order to the colony. Laws and regulations were quickly put in place, and by the following year a police force and magistracy had been installed. 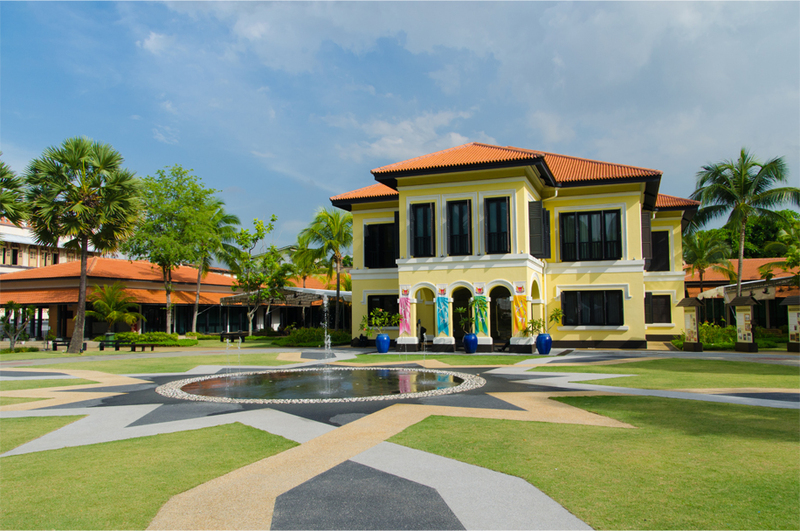 Raffles also paid careful attention to the island’s physical development. 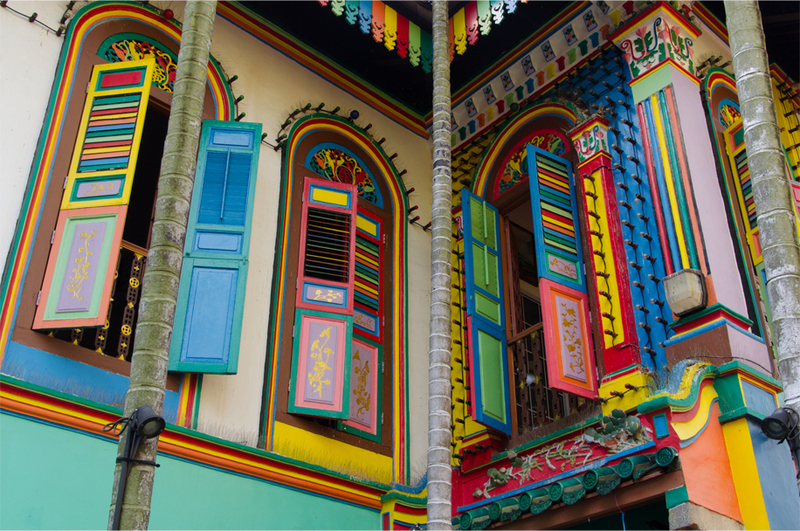 With the help of a committee led by engineer Lieutenant Philip Jackson, a gridded master plan was drawn up, dividing the town into several ethnic neighbourhoods or kampong, the Malay word for ‘village’. 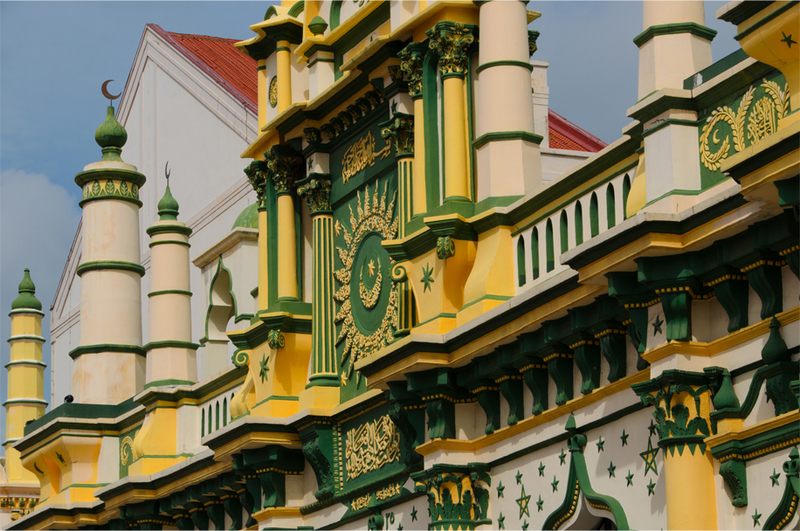 To the east of the ‘European Town’, Kampong Glam was set aside for the native Malay population and Muslim immigrants from across the region. Centred on the palace (istana) of Sultan Hussain Shah of Johor – who had been exiled to the Riau Islands when his half-brother seized the throne – the district housed his entourage, communities of Arab merchants, Bugis traders from South Sulawesi and settlers from Sumatra. Even in 1822, Raffles rightly predicted that the ethnic Chinese would make up the largest sector of the population. He marked the area southwest of the Singapore River as a ‘Chinese Kampong’, beginning with the precinct of Telok Ayer (literally ‘Water Bay’). But as the immigrant population swelled, the centre of Chinatown moved to an area where fresh water was delivered by animal-driven carts. 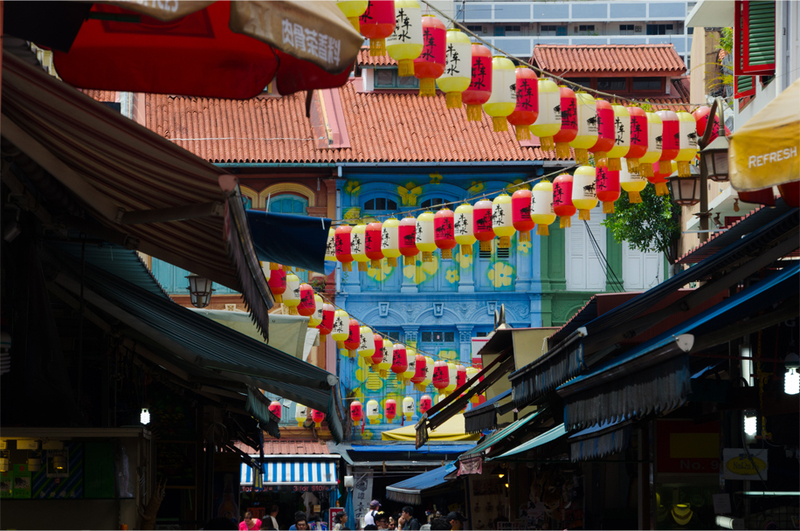 For this reason the precinct gained the Chinese name Niu Che Shui (‘Ox-cart Water’) and the Malay name Kreta Ayer (‘Water Cart’). 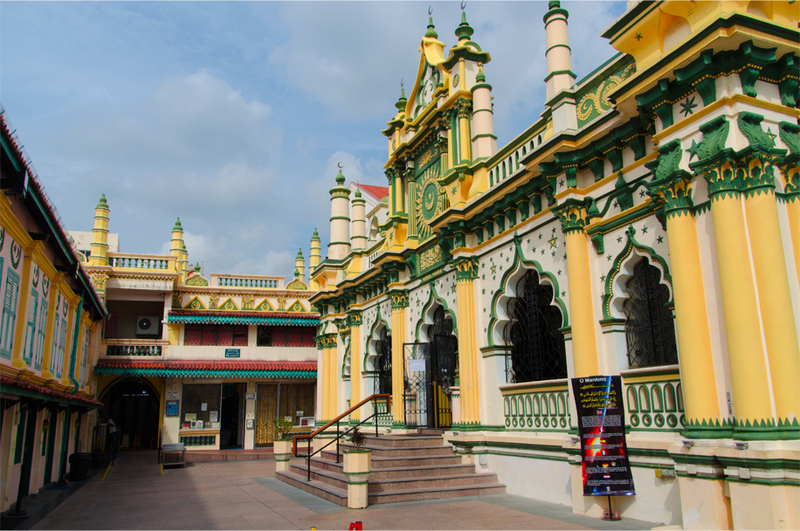 To the north of Chinatown, Kampong Chulia was laid out for Tamil settlers from southern India, but over time the community would migrate across the river to the district around Serangoon Road. 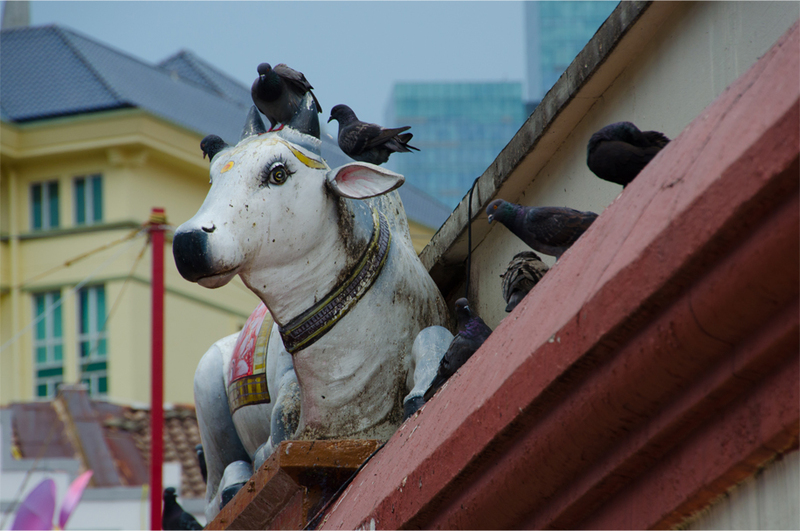 Known as Tekka to its Tamil residents, Little India would soon be dominated by cattle and textile traders. Curiously, Tekka became the chosen location for the villas of several successful Chinese businessmen, along with a temple dedicated to Guanyin, the Chinese Boddhisattva of Mercy. 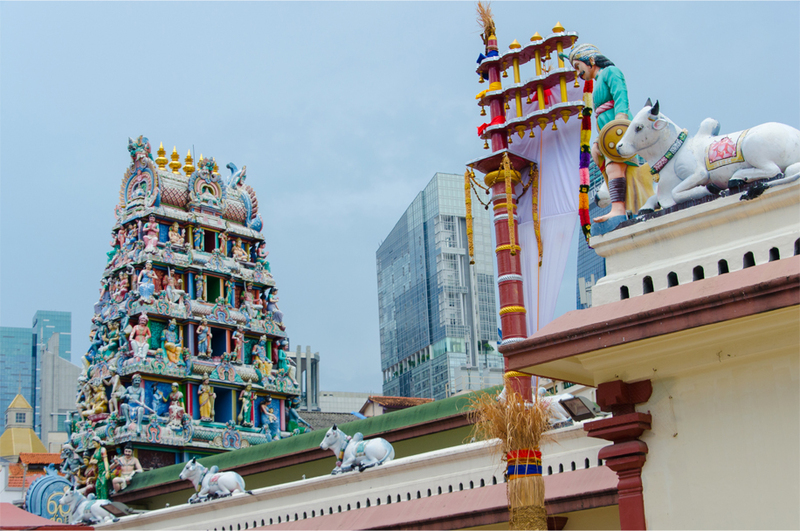 The reverse had already happened in Chinatown, where the oldest Hindu place of worship in Singapore, Sri Mariamman Temple, first took shape in 1827. 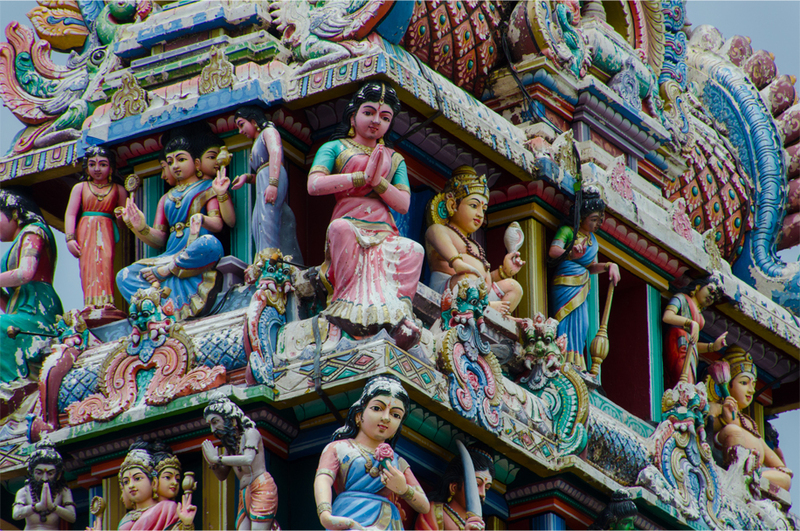 Visiting Little India, Chinatown and Kampong Glam was such a visual treat. 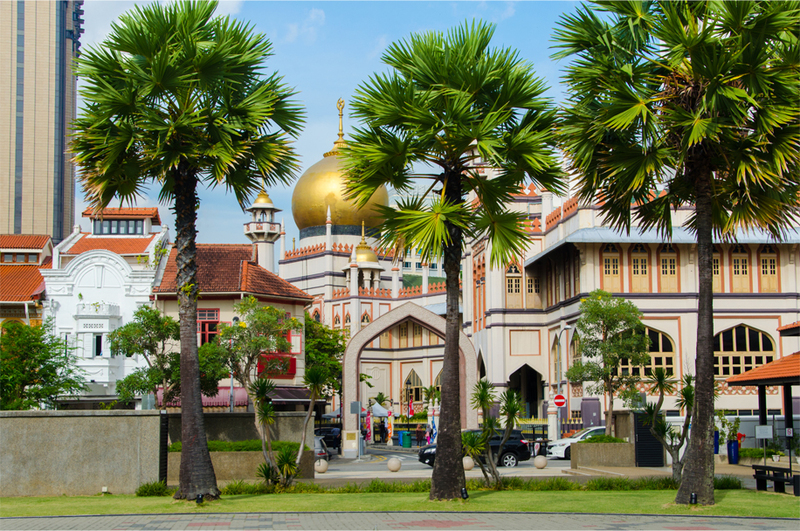 I’ve always been enticed by the rich sculptural details of a Tamil temple since my first visit to KL, meanwhile the tree-lined street to Sultan Mosque reminded me a little bit of Bandar Seri Begawan, only the one in Singapore was much smaller. I’m glad the weather was relatively nice when we went to those kampongs. 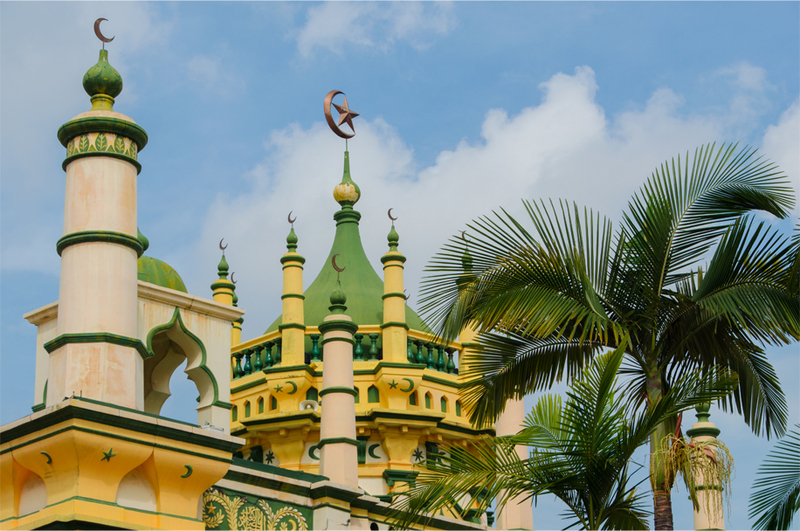 I think my favourite building was Abdul Gafoor Mosque in Little India – the exquisite details made it look like something out of a fairytale, or possibly even 1001 Arabian Nights! Yes, although the old Chinese villa was a little over the top… that said, it would make a great guidebook cover. Loved the colorful photos AND the history! Gorgeous photos and color of this wonderfully historical place. The Abdul Gafoor Mosque does indeed remind me of something out of 1001 Arabian Nights. Thank you, Angeline – I’m glad these beautiful buildings are so well-kept! 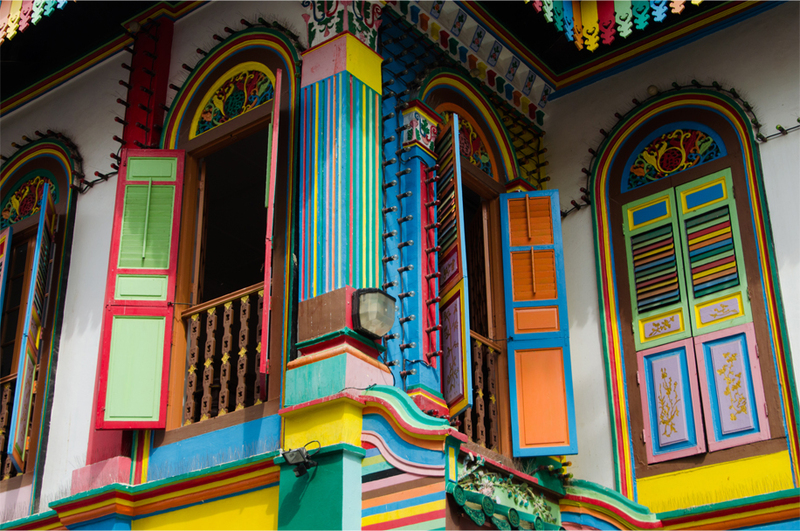 I think Singapore became worth visiting just to see Tan Teng Niah’s villa! Gorgeous! The colours certainly won’t disappoint you, Alison! I love the way in which you opened this post — telling the history as if it is a story. Thanks Jennifer. It took a while to think of a more interesting approach! The multiculturalism really comes through in Singapore! What a riot of colours James! 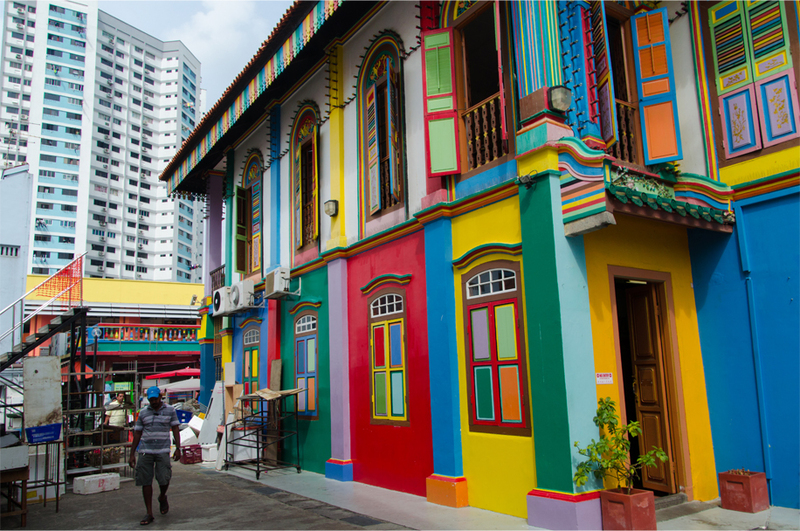 Repainting the residence of Tan Teng Niah must be quite a project!!! 🙂 The mosque is indeed gorgeous. Thanks for this unusual perspective on Singapore. Can’t believe I have not even transited through the place! 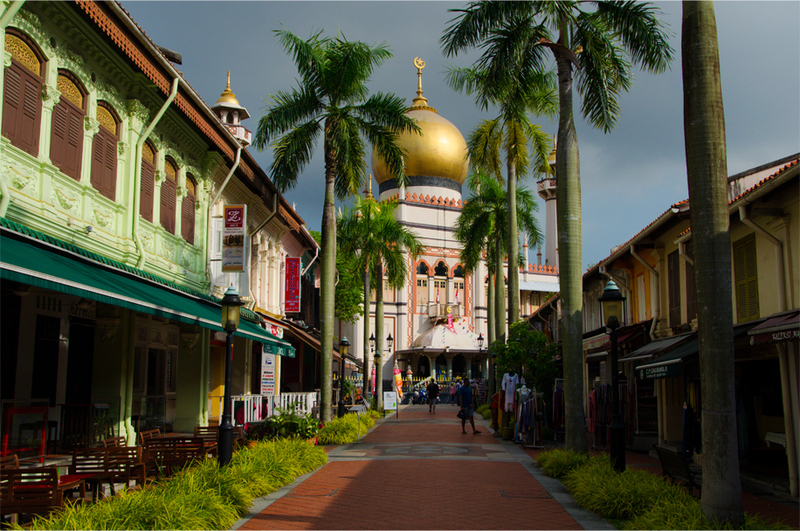 Anyway, when I was at Kampong Glam last June, I didn’t see any palace. 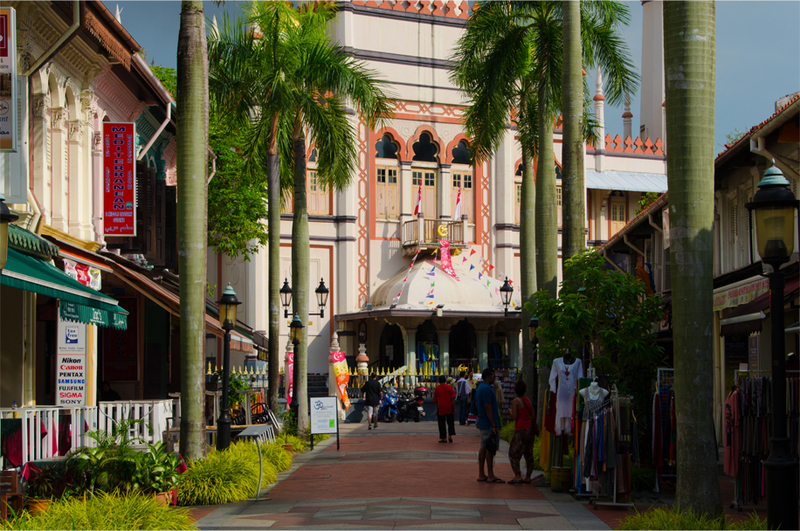 Ada di sebelah mananya Kampong Glam ya? So presumably Singapore is easy to get around..by foot/bike or transit? Some of those neighbourhoods looks so organized/clean and not dilapidated. Is this what Singapore is like? Yes, Singapore is fairly walkable although the heat (and humidity) makes it advisable to take mass transit – the city has an excellent metro and bus system. I would say cleanliness is something of an obsession there – the historical neighbourhoods are generally spruced up with fresh coats of paint. 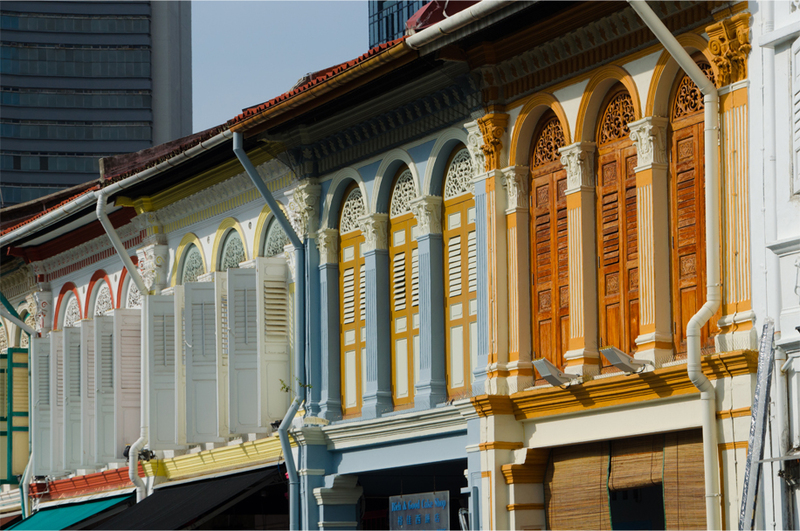 Yes, these old neighbourhoods were so photogenic!